Introducing the Sydney-based producer collective CRU CUTS, who today share their debut podcast featuring Clayton Knight and Harrison Mills of heralded electronic duo, Odesza. Recorded in a living room in Paddington on their recent stop in Sydney where they played two sold out shows at the Enmore Theatre, the pair stop by CRU CUTS to talk about the recent release of their critically acclaimed third album A Moment Apart, life on the road and all things tech. Watch and listen via SoundCloud, iTunes and YouTube. 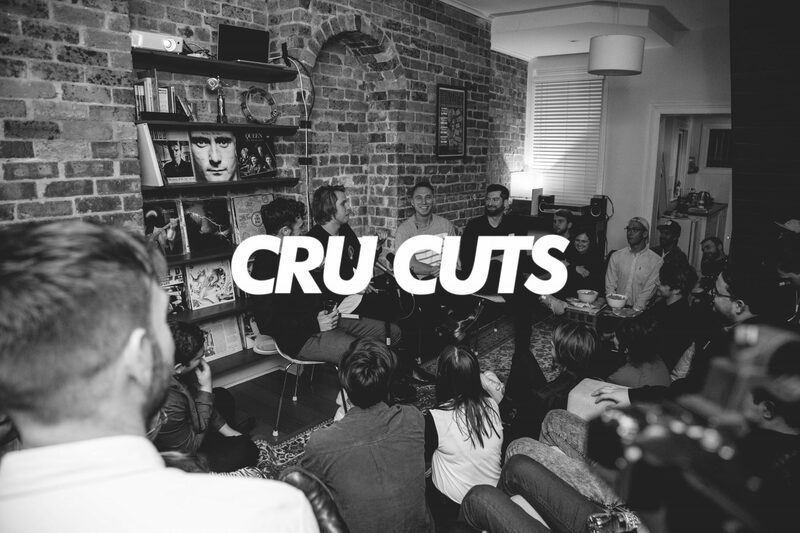 Co-founded by David Ansari (Vallis Alps), Lach Bostock (Mansionair) and Sean Walker in 2016, the CRU CUTS collective is made up on a group of musicians, producers and music enthusiasts that host regular living room discussions with some of the worlds most exciting and innovate creators including Japanese Wallpaper, Gordi, Dave Jenkins, Vallis Alps, Jonti, Antonia Gauci and Anatole. All CRU CUTS events are free. To sign up, head to crucuts.com/join.